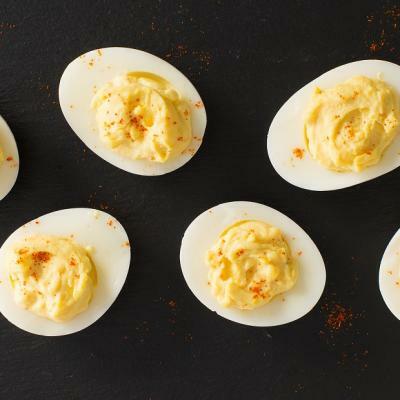 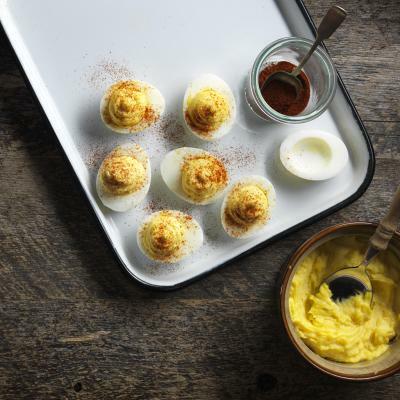 Get out the picnic basket, because you’re going to love these California-style devilled eggs. 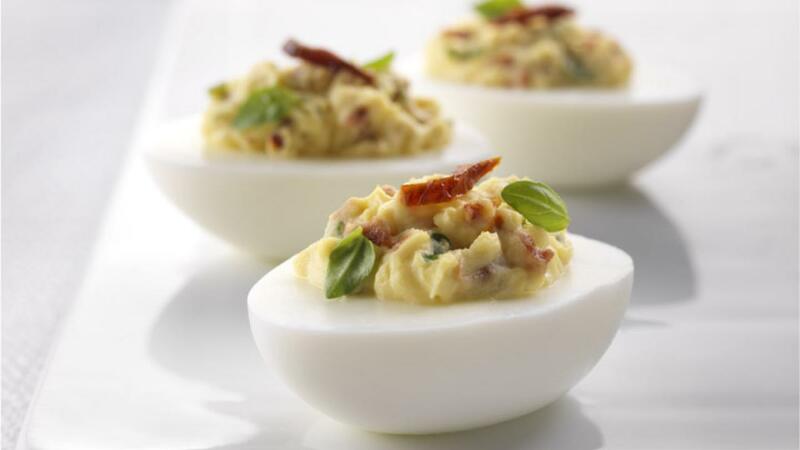 These are filled with flavour and can be made ahead of time and kept in the fridge for up to 2 days. 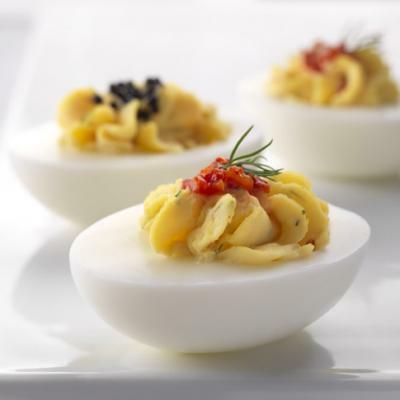 Choose eggs that have been in your refrigerator for a few days for hard boiling rather than very fresh eggs, as less fresh eggs will be easier to peel.